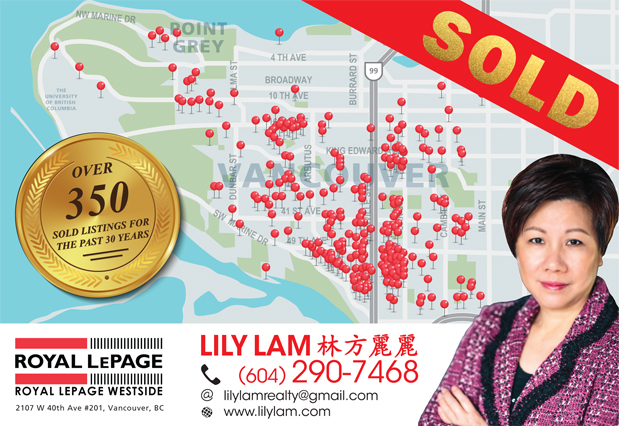 Lily Lam, a trusted name in the real estate industry since 1986. With a strong proven sales record of having personally sold over 450 properties valuing over $1 billion dollars within the last three decades, Lily's outstanding negotiation skills and vast social networks will help you achieve the best price on your real estate sales and purchases. 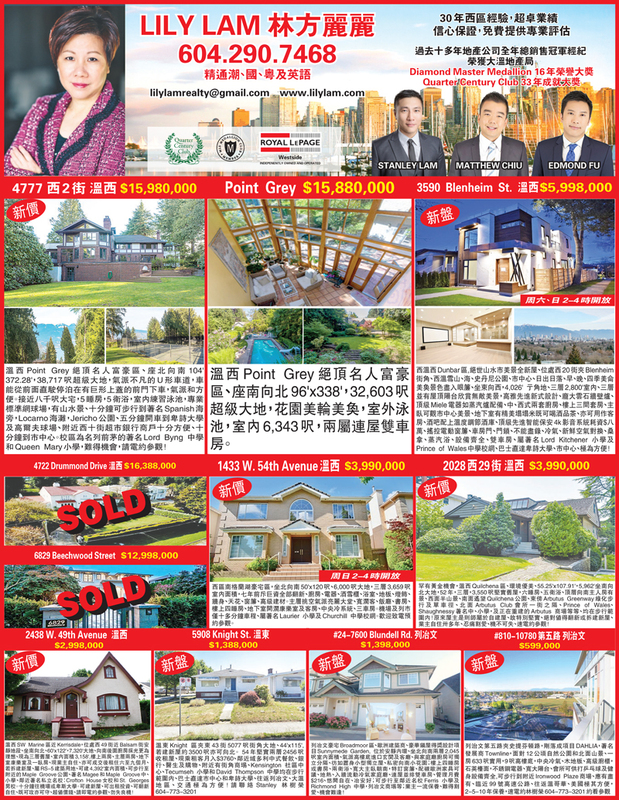 Originally from Hong Kong, Lily started her real estate career in Vancouver and flourished as one of the most respectable and recognized sales masters in the Vancouver Westside. In 1992, she was headhunted to manage a team leading over 200 sales executives in the first real estate agency in Beijing, China. With her fluency in Cantonese, Mandarin, Chiu-Chinese and English, Lily achieved phenomenal success throughout Asia, namely Hong Kong, Japan, Korea and Singapore. Upon her return to Vancouver in 1996, she quickly re-established herself as a top producer setting records and winning numerous awards. Lily's client-centered approach, trustworthiness and dedication are the foundation of her success. Lily has been an integral part of countless home buyers and sellers' success and she looks forward to becoming a part of yours.